The Eclipse EA50 is the Eclipse 500 very light jet. 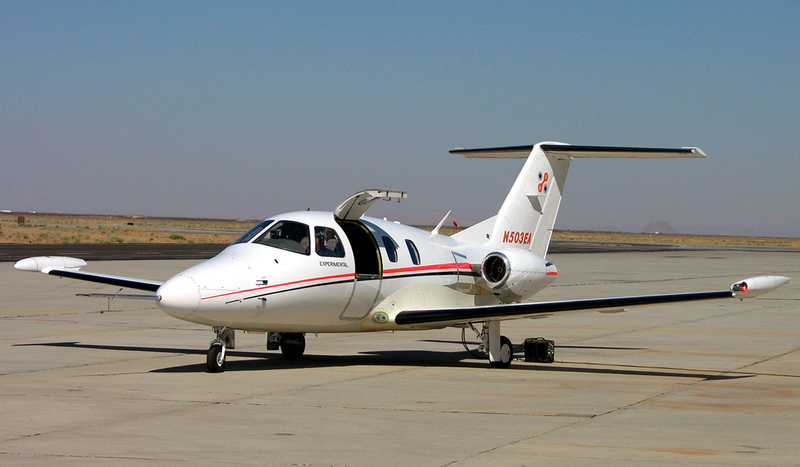 EA50 is used by air traffic controllers around the world to identify the Eclipse 500 aircraft. To learn more about the Eclipse EA50 visit the pages that are listed below. Also take a look at the Eclipse 550, the new version of the EA50 that was introduced by Eclipse Aerospace. EA50 Price - Information on the pricing of the EA50 aircraft. Currently the pricing for the EA50 is in a wide range depending on the aircraft condition. EA50 For Sale - Learn about Eclipse EA50s for sale. EA50 Problems - Read about some of the problems the EA50 had in the past. EA50 Training - Get the details on training programs for the Eclipse EA50 very light jet. EA50 Specifications - Get the full specifications on the EA50 aircraft. EA50 Performance - Learn about the EA50 Performance in detail. EA50 Range - Find out about the Range of the EA50. AvioNG - Learn about the AvioNG avionics for the EA50 jet. EA50 Operating Cost - Information on the operating costs for the EA50 jet. EA50 Type Rating - Find out about the type rating courses for the jet. EA50 Cockpit - Take a look at the EA50's cockpit. EA50 Engine - PW610F-A - Learn about the engine that powers the EA50. EA50 Interior - Cabin - Learn more about the interior of the EA50 airplane. EA50 Simulator - Get information on the available EA50 simulators. EA50 Dimensions - Information on the dimensions of the EA50. EA50 Fuel Burn - Learn how much fuel the EA50 burns in flight. EA50 LX Edition - Find out about the EA50 LX edition and what it is. Above Eclipse EA50 Aircraft Photo by Alan Radecki on Wikimedia Commons. Photo (only) released under a Creative Commons License.